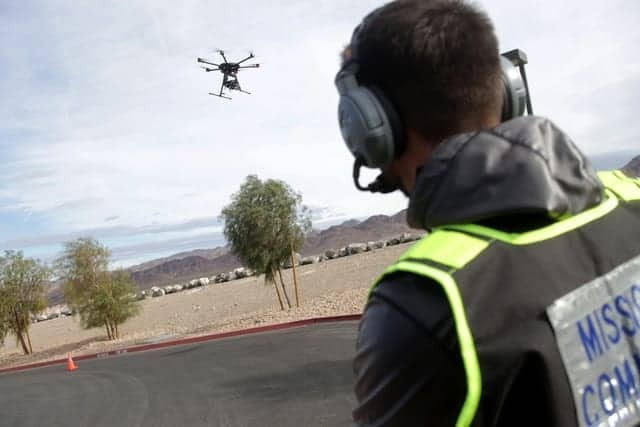 The Nevada Institute for Autonomous Systems (NIAS) has announced that its Unmanned Aviation Test Site has been selected for the U.S. Department of Transportation (DOT) and Federal Aviation Administration’s (FAA) Unmanned Aircraft System (UAS) Traffic Management (UTM) Pilot Program (UPP). The UPP is a milestone pilot program to safely integrate drones into the National Airspace System (NAS). Congress directs coordination, collaboration, development, and publication of a UTM Research Plan and establishment of a UTM Pilot Program (UPP) through the FAA Extension, Safety, and Security Act of 2016. The UPP includes development and demonstration of enterprise services to support initial UTM operations. The innovative Nevada UPP concept is a Smart Silver State (S3) theme to advance the UTM and help the FAA evolve airspace procedures and processes.